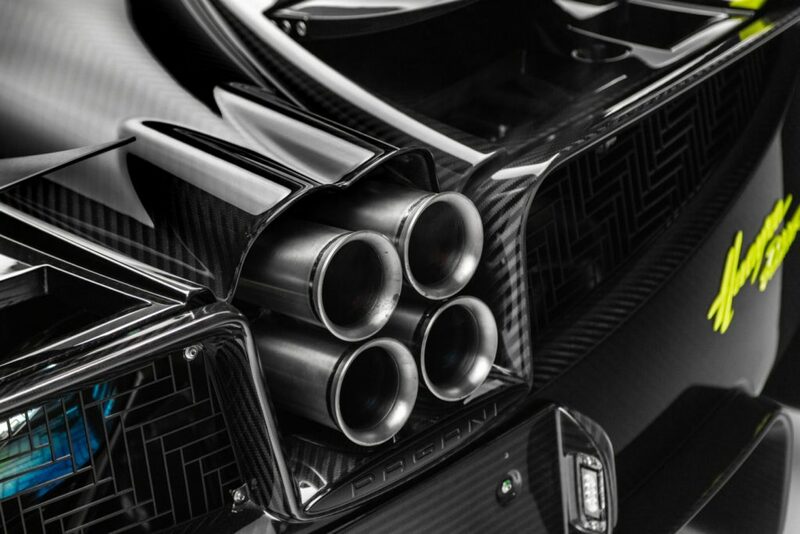 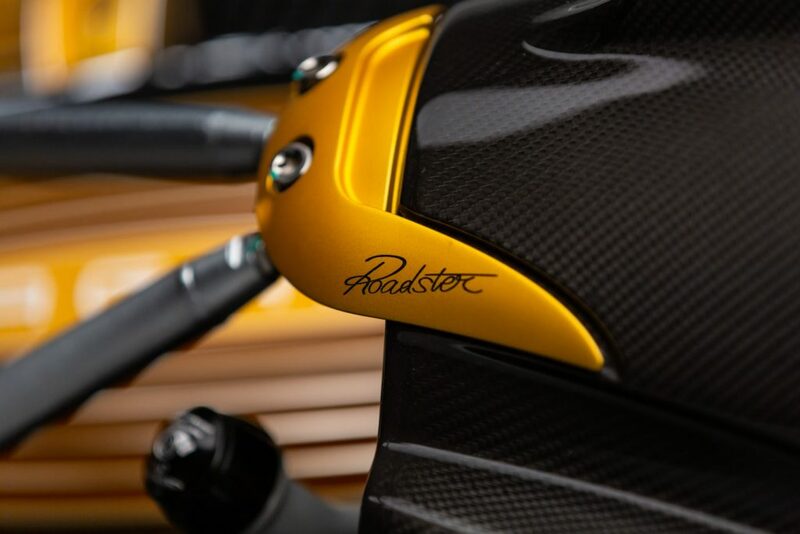 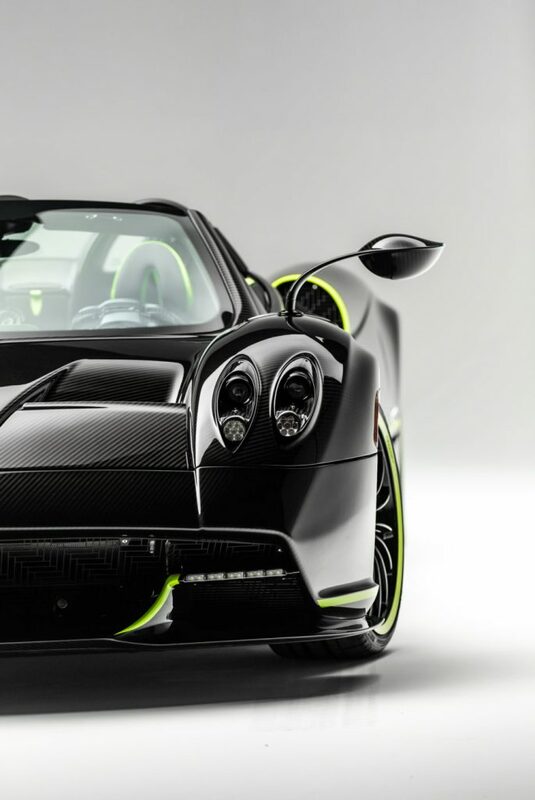 Pagani has completed a new Huayra Roadster for a client which was ordered through Pagani Newport Beach and it looks sensational. 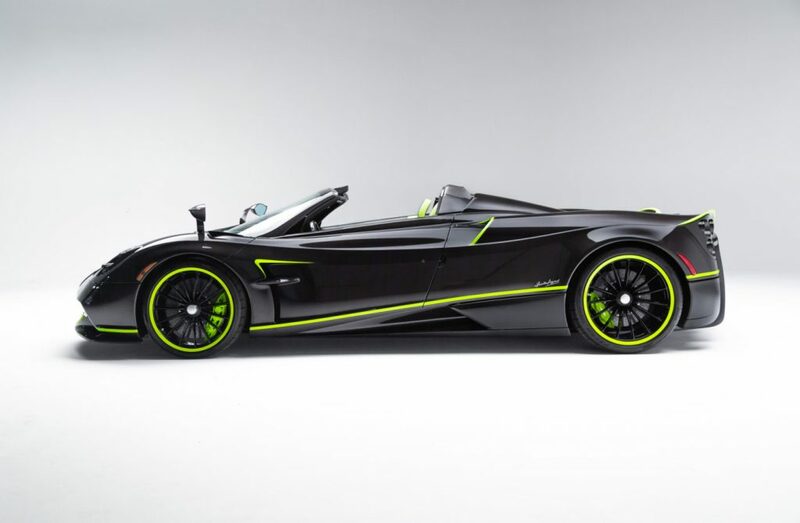 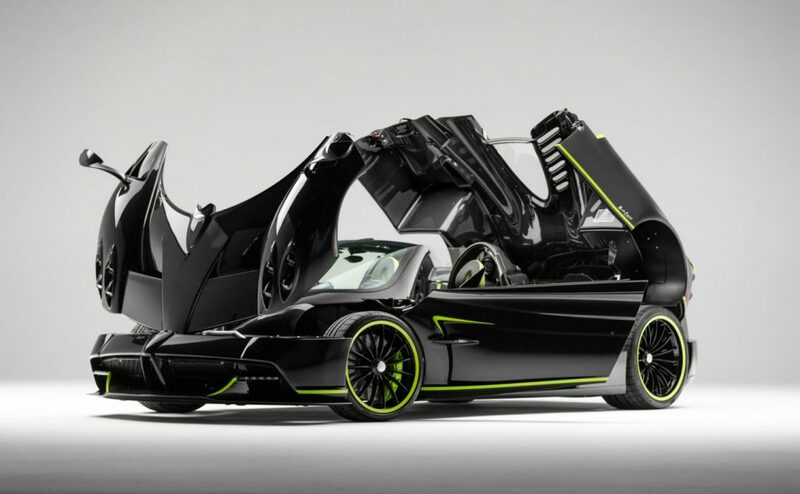 This example of their open-top supercar features the company’s new composite called “Carbo-Triax.” This composite is lighter than what was previously used and also stronger. 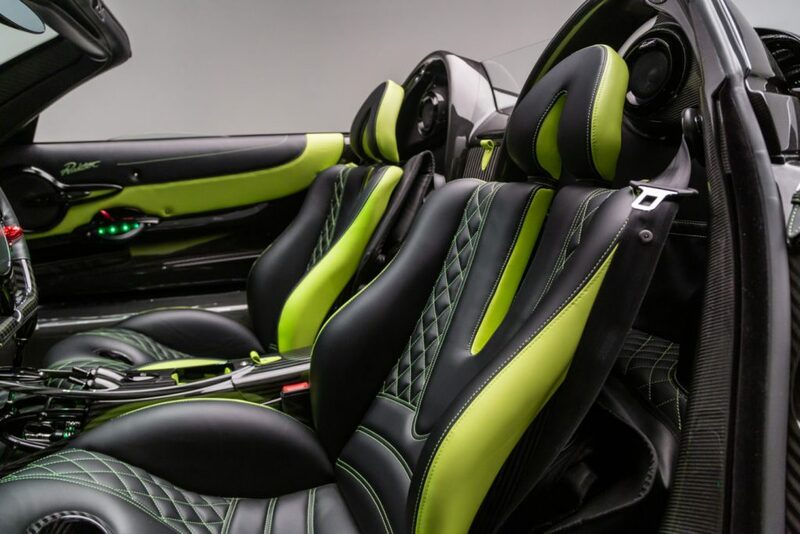 The owner of this car clearly has a taste for “Acid Green” as he also owns a Porsche 918 Spyder finished in the same hue. 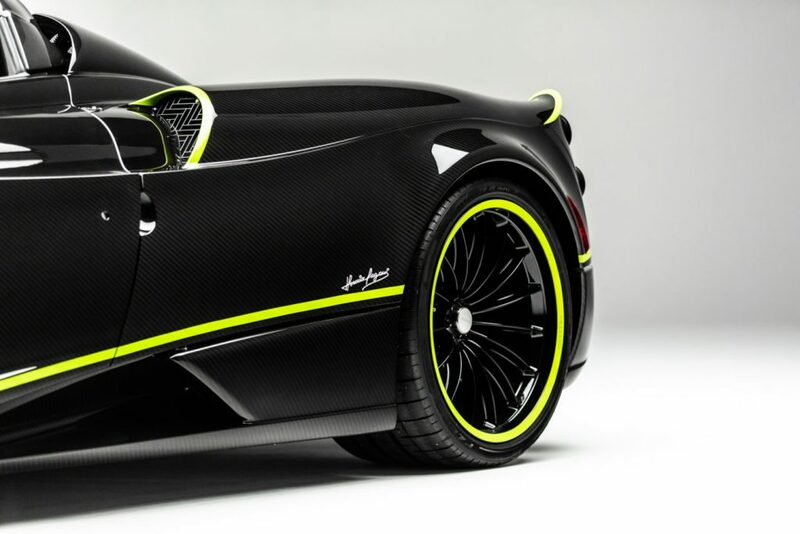 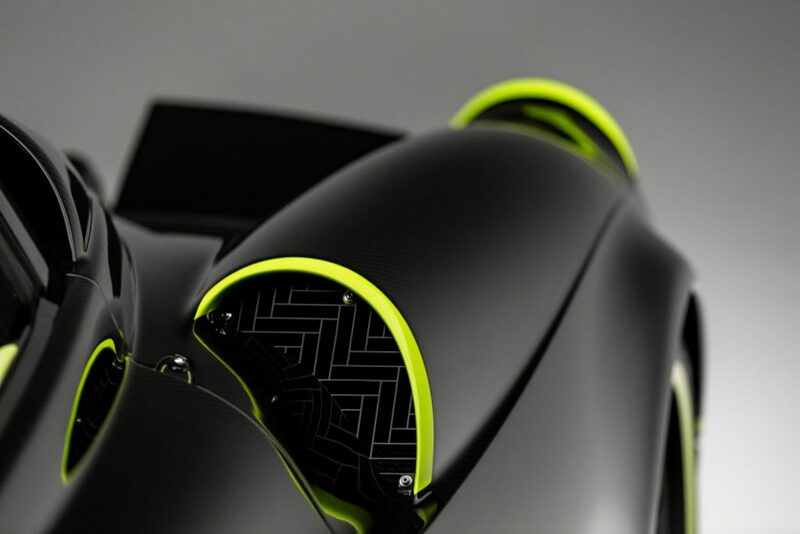 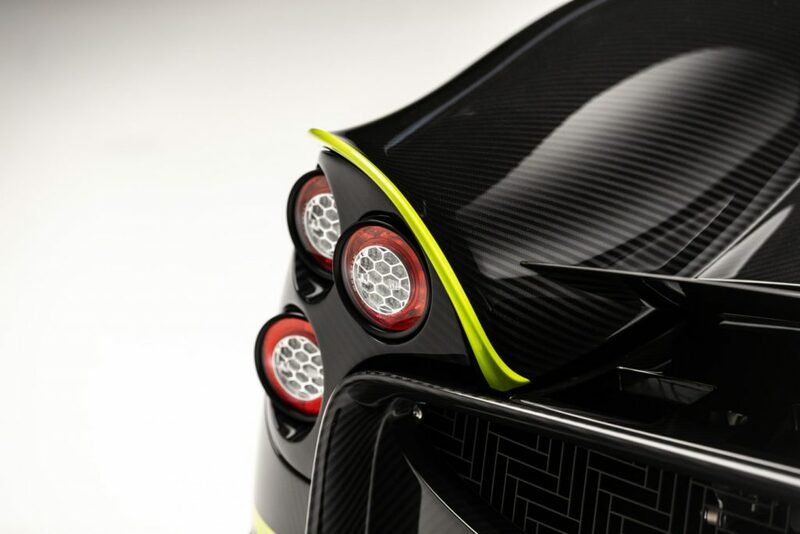 Green trimming across the supercar is easily noticeable as it contrasts in extraordinary fashion against the exposed carbon fibre body. 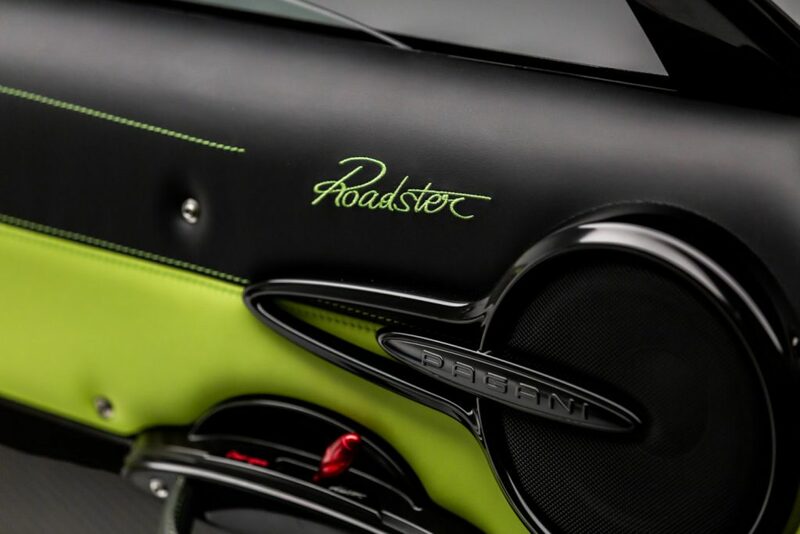 Even on the inside, this black and green color scheme continues, down to the stitching. 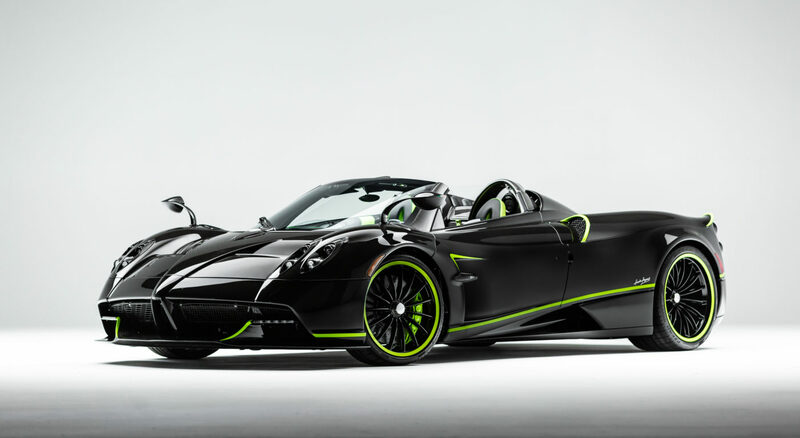 This is a superb and tasteful spec for such a mesmerizing creation so lets hope we see more individuals taking a similar route.